Partnerships - Clyde Companies Inc.Partnerships - Clyde Companies Inc. The Clyde Companies exist to build a better community. But we can’t do it alone. Valuable partnerships are at the core of our success. For nearly ninety years, we’ve worked diligently to maintain mutually beneficial relationships with project owners, subcontractors, state departments, design teams and regulatory organizations. It is our goal to make your work easier on our shared projects. Strong relationships benefit the communities we work in. Collaboration on state and city projects helps us provide higher quality results for city roads, highway transportation, commercial development, utility and water jobs and other projects that benefit local residents. At Clyde Companies, we value people – and that means we’ll continue to build better communities for our friends and neighbors. We also believe that the community plays a huge role in what we are able to do. That is why our people are just as excited about building better communities as we are about literally building the projects we are contracted for. We give of our time, money and talent because its the right thing to do. Clyde Companies has joined the Utah Transportation Coalition. The coalition is a group of business and civic leaders concerned with Utah’s environment, economy and quality of life as Utah continues to grow. Our transportation system affects each of these things. The Coalition is advocating for a long-term funding solution for transportation. We need a plan to fund diverse needs from highways to walking trails and from transit service to bike paths. We want our citizens to enjoy the best that life in Utah has to offer: good air quality, good health, a strong economy and well-paying jobs. We can shape the future of each of these things, in part, through investment in transportation. 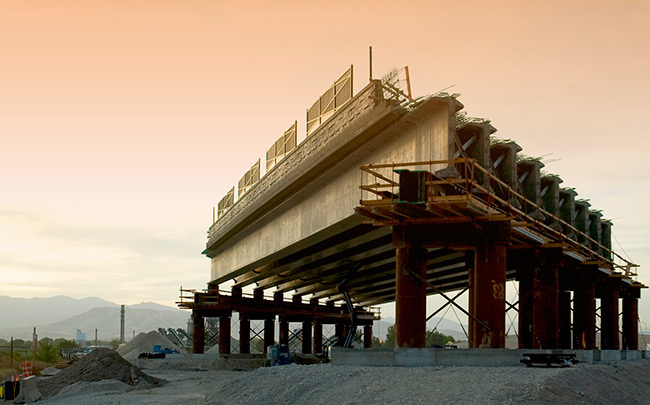 Learn more about the Utah transportation Coalition here.